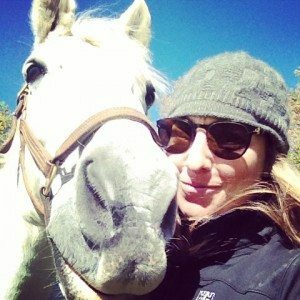 Originally posted by Nicole this time four years ago, this is the story of her childhood horse, Alaska, and the amazing journey they shared. This week, we decided to look back on the story of how Alaska inspired Nicole’s interest in management and horse care as well as how he ensured she would be around to create BarnManager. 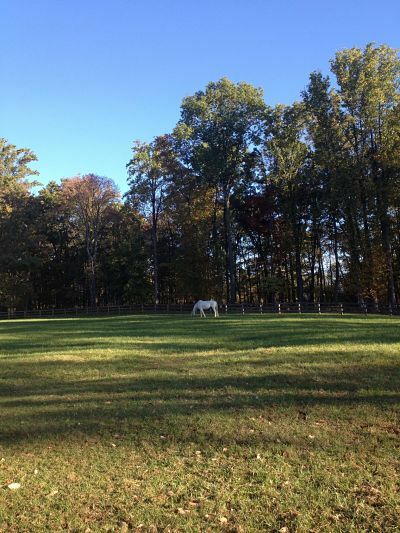 Before moving into the Washington International Horse Show for the week, I made a quick trip down to Gordonsville, Virginia to visit the beautiful rehab facility and farm that is Oak Hill Farm. Oak Hill is owned and operated by Dr. Timothy Ober DVM (USEF Show Jumping team vet), and his amazing team. 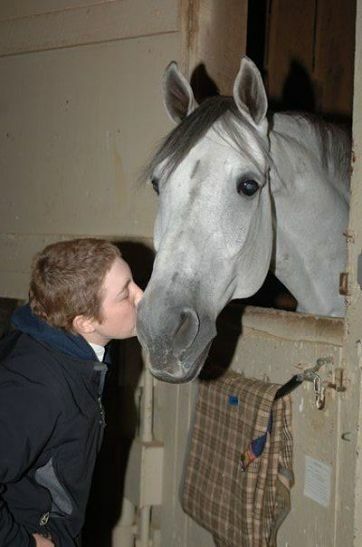 But most importantly, Oak Hill is the home to my horse Alaska for his retirement years. Alaska turned 20 this summer, and my visit featured much celebration and reflection on our time together. Anyone who loves an animal understands that there is a unique bond between human and animal. There is a silent language, often accompanied by looks of understanding, unsolicited displays of affection, and a certain loyalty that two humans are not capable of recreating between one another. Whether it is a dog who never leaves your side when you are homesick or a horse that makes you question whether you are the one in charge, they make us feel whole. The joy that I felt in seeing how happy my horse is living out his retirement surrounded by breathtaking scenery, caring people and an abundance of everything that a horse could ever dream of was all-encompassing. I walked around the farm smiling from ear to ear, inhaling slowly and allowing the fresh country air to sweep me into a state of bliss. On a quiet Sunday morning, I sat in the grass in the middle of his beautiful green paddock. I watched him move slowly and pleasantly around the field following the best grass. Every few minutes, he came over to where I sat and checked in, patted me down in search of treats, looked at me with is big warm eyes and went back to munching. I think that anyone who passed by probably thought that I was crazy, but I never feel more at home than I do when I am near him. Alaska came into my life by accident. He came to me as a circumstance of coincidence and luck, and I never could have predicted just what luck he was bringing along with him. He was a kind and generous teacher. One that never held a mistake against me for even a nanosecond and who rewarded me generously for my growth and development. As a rider and horseperson, I was better for having him in my life. He spurred my interest in horse care and management. Growing up a barn rat, I spent as much time with the horses and in the barn as I could. But with Alaska, my time in the barn became more focused. I wanted to learn to care for him in the best ways. I stalked vets, farriers, chiropractors and more, listening, trying to see what they were seeing. and feel what they felt. I became more in tune with the subtleties of communication between animal and human. And in the meantime, Alaska did his thing. He taught, he was patient, and he brought happiness and purpose to my life. And so, it was only appropriate that he played a leading role in shining a light on what was to become the most trying time in my young life. At 17 years old, thinking that I had life nearly figured out, my world came crashing down. Alaska was so gentle and kind that to fall off of him was an embarrassment in itself. At the time, I had never had the pleasure of falling from the 18.2 hand equine’s back. So when I lost my balance and struggled to come off as gently as possible, I found myself in a special kind of pain. Along with a bruised ego, I had fractured a couple of ribs. Broken ribs required an x-ray. From Alaska’s back, I quickly moved found myself subjected to x-rays and CAT Scans and blood work and PET Scans. A tumor had been growing inside my chest. Did he know? My parents were convinced that his wisdom extended into the supernatural. To them, he saved my life. All that I know is that it happened. I fell off of him for the first time during our partnership, and I fell in such a way that a chest x-ray was required, and a chest x-ray got the ball rolling that led to a diagnosis of Stage 3 Lymphoma. I don’t know if he was an agent of fate. I don’t know if he was brought to my life for this reason. But as I sat on the grassy hill, watching him make his way slowly across the field in my direction, I didn’t care. I am not here without him; I am not me without him. Cancer is terrifying. Everything in your life turns backward, upside down and inside out. We all go through challenges in life, and we all handle these challenges to the best of our ability. But Alaska made it easy. He remained a constant source of light, love, and happiness. While some people looked at me with sadness or fear and struggled to find things to say that did not need to be said, Alaska looked at me the same. If possible, he was maybe kinder and gentler than ever. He sustained me. He rescued me from dark places, he gave me consistency, hope, and peace. As I sit here today, 8 years of remission under my belt, I am so grateful to see him living the life that he deserves. 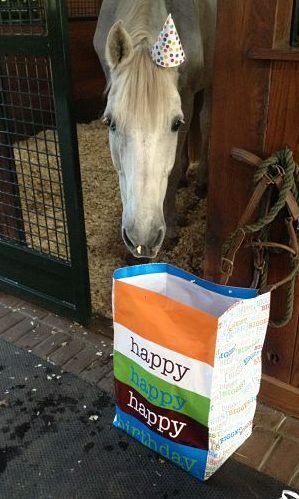 We celebrated his 20th birthday with a birthday bag filled with 20 lbs of carrots. I think he is in the prime of his life. He spends his days surrounded by beauty, perhaps the same beauty that he brought to my life. The beauty of waking up each day and looking forward to what life has in store for you. The beauty of appreciating each day for what it brings and not wanting for more. The beauty of knowing that no matter where you go or how you get there, you are lucky enough to be here in the first place. And the beauty in knowing that we found each other, and the rest just is. In my work with BarnManager, I have the privilege of experiencing a number of opportunities that I most likely wouldn’t otherwise have. This includes sitting down with Laura Graves during the Washington International Horse Show Barn Night clinic and getting more involved with the United States Equestrian Team Foundation. Both of which have led me to write this blog post. The first of these great experiences has been the opportunity to begin volunteering my time with the USET Foundation. They were looking for young voices to come in and help them communicate their mission to a younger audience and to help them launch a grassroots fundraising campaign to complement their existing fundraising efforts. I am one of many who are volunteering their time and experience, and I am so grateful to work with and learn from all of the people that this opportunity has afforded me. I, like many young professionals, am very busy and constantly juggling a million responsibilities and requests. So I don’t give my time to people or organizations that I don’t believe in. I love horses. Every time I ask myself why I am driving hours to the middle of nowhere to compete or getting up at 6 a.m. on a Saturday, I spend five minutes with my horse, and all of my doubts disappear. You are here, so it is safe to assume that you understand this type of irrational and sometimes frustrating love that we never outgrow. Part of this love is an awe and admiration for those who compete at the highest levels of the sport. They often appear super-human, completing extraordinary efforts time after time. We become devoted fans and cheer for their successes and mourn their failures. But the story that isn’t told often enough is the role of the USET Foundation in their successes, in our successes. So first things first, the USET Foundation is NOT the same as the U.S. Equestrian Federation. The USEF is the governing body for equestrian sports. 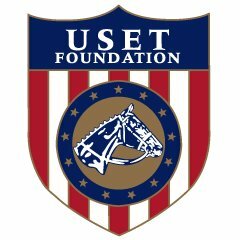 The USET Foundation is a non-profit organization with the mission of supporting the competition, training, coaching, travel, and educational needs of America’s elite and developing International High-Performance horses and athletes in partnership with the United States Equestrian Federation. To me, that is a long-winded way of saying that the USET Foundation levels the playing field at the highest levels of equestrian sport. And I never really understood this until sitting down with the hard-working team at the USET Foundation and talking directly to Laura Graves, one of the many athletes whose successes at the international level would not have been possible without the Foundation’s support. 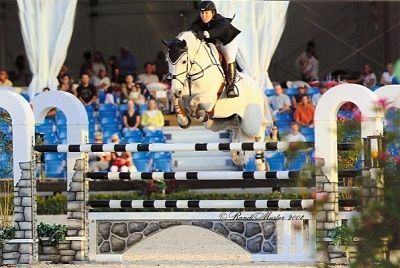 A flight to the 2014 Alltech FEI World Equestrian Games (WEG) in Normandy, France, for Laura Graves’ Verdades would have cost Graves roughly $20,000 – the approximate going rate for a trans-Atlantic horse flight. However, Graves—like I venture to say the vast majority of us—didn’t necessarily have an extra $20,000 readily available to ship Verdades overseas to compete in Europe that summer. 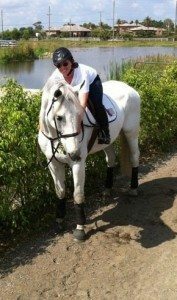 But that didn’t stop her from competing at the 2014 WEG and bursting onto the international dressage scene in a big way after finishing fifth in the Grand Prix Special, fifth in the freestyle, and fifth with the U.S. team in Normandy. 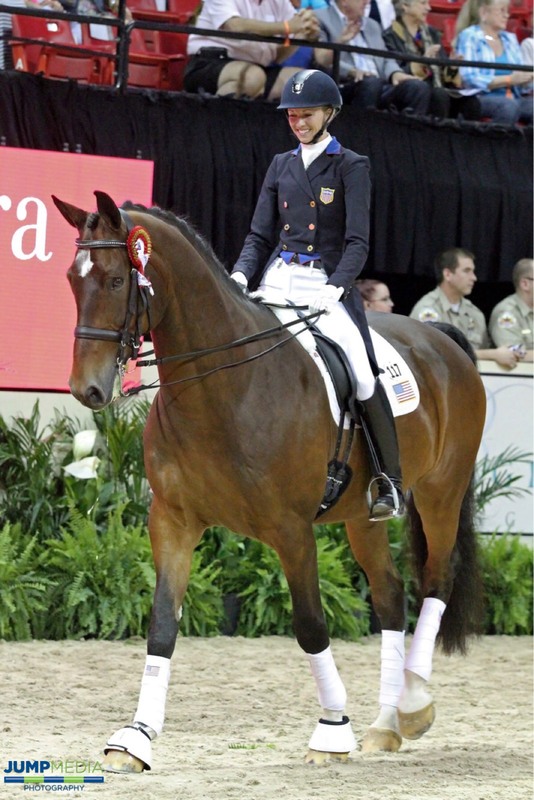 From that point on, Graves and Verdades together have become a much-loved face for dressage in the U.S. and for the bond between a horse and a rider. They’ve been a vital part of U.S. dressage teams, including the bronze medal-winning team at the 2016 Rio Olympic Games, and they will represent the U.S. again at this month’s 2018 WEG in Tryon, NC. But what if Graves had never been able to pay to get Verdades on that flight to their first WEG – or to any of the major competitions since then for that matter? And how do she and so many other riders like those representing the USA at WEG come up with that sort of money on a regular basis? 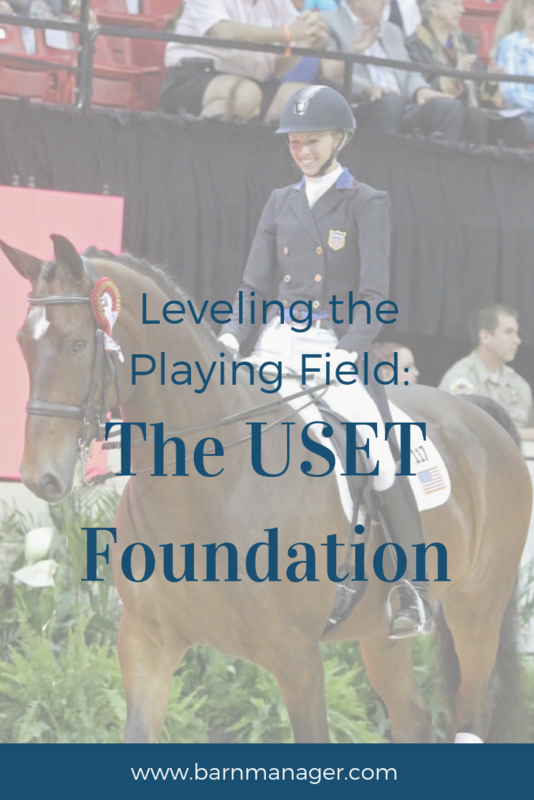 The answer is the USET Foundation – the secret to leveling the playing field in team equestrian competition in the United States. Now don’t misunderstand me. I am not suggesting that equestrian sports, much less at the elite levels of international competition, are easily accessible to everyone regardless of their backgrounds or access to means. But if you can navigate the challenges and obstacles of getting to the top levels of the sport, shouldn’t talent, ability, and preparedness be the only determinants of your ability to represent your country? That would not be the case without the work of the USET Foundation. However, what is not widely discussed is what that really means. 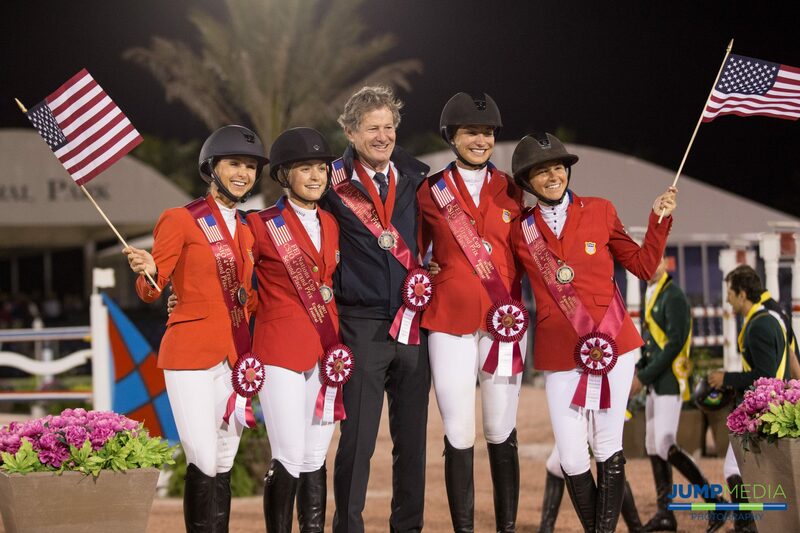 It means that the USET Foundation is ultimately making it possible for the team selections to be fair and not impacted by a rider’s financial circumstances. There are many intricacies in USEF team selection that I may not understand or be privy to and many that are imperfect, but it is because of the USET Foundation that selection can be based solely on the horse and rider’s ability and fit for the team at the time. Once a horse and rider have demonstrated the ability and qualifications to be selected for a team, they are able to be a part of that team no matter whether or not they can afford it, thanks to the USET Foundation. And it’s not just dressage riders like Graves or riders in the Olympic disciplines of dressage, show jumping, and eventing that the USET Foundation is supporting – it’s all eight of the high-performance equestrian disciplines that will be represented at the upcoming WEG: dressage, eventing, jumping, driving, endurance, reining, para-equestrian, and vaulting. The WEG is the only event of its caliber in which all eight of the disciplines are showcased. That means eight times the U.S. teams and eight times the expense. But thanks to the generous support of donors, the USET Foundation is making the 2018 WEG dream a reality for the approximately 50 U.S. riders traveling to compete in Tryon. “The United States is shipping and caring for 50-plus horses and a delegation of approximately 125 [people] for the WEG,” explained Bonnie Jenkins, Executive Director of the USET Foundation. “This includes providing travel and accommodations for athletes, coaches, team leaders, grooms, veterinarians, farriers, physiotherapists (horse and human), team doctor, chefs d’equipe and a chef d’mission. Not all of us are destined to compete on the international stage, but we all revel in the joy and sorrow, the sweat and tears, the patriotism and the passion of the athletes that represent us at the highest levels of the sport. But imagine what this sport would be like if the USET Foundation did not exist. Who would we be cheering for if we didn’t feel like we were sending our best and most able to represent us on the world’s stage? Sure, some riders would find wealthy sponsors to support them, as they do today. This is necessary, and we can thank these sponsors for many of the top partnerships that we see today and that have earned medals and accolades for the US Team for decades. However, we cannot allow team selection to be limited to only those with financial means and to the riders who can secure the support of a generous sponsor. Without the support of the USET Foundation, it wouldn’t be our team, it would be their team. It is also important to note that many of these sponsors are tremendous supporters of the USET Foundation and responsible for some of the grants and programs that facilitate the leveling of the playing field when it comes to USEF team selection across disciplines. But the USET Foundation exists for all of us. And it is the reason we can proudly cheer for OUR team at the WEG and beyond. That is what I see as the crowning accomplishment of the work of the USET Foundation. Not the medals, trophies, and coolers, but their commitment to supporting a team that belongs to the U.S. equestrian community as a whole. Like fans of any other team, we can love or hate, take issue with or support blindly any individual player. But we can still cheer for them with abandon knowing that they are ours, and they are the best that we have on that day. Not the wealthiest, not the most connected, the best. That is how the USET Foundation levels the playing field, and that is why we need this organization to continue to grow and evolve in their support of the athletes we admire, and the dreams that do come true. To learn more about the USET Foundation and how you can help level the playing field in U.S. equestrian sport and support riders in representing the United States in international competition, visit www.uset.org. Check out The Plaid Horse Blog for more from a great interview with our founder, Nicole Lakin! Before moving into the Washington International Horse Show for the week, I made a quick trip down to Gordonsville, Virginia to visit the beautiful rehab facility and farm that is Oak Hill. Oak Hill is owned and operated by Dr. Timothy Ober DVM (U.S.E.T. Show Jumping team vet) and his amazing team. 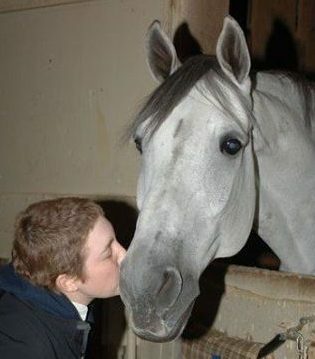 But most importantly, Oak Hill is the home to my horse Alaska for his retirement years. Alaska turned 20 this year summer, and my visit included much celebrating and reflecting on our time together. Anyone who loves an animal understands that there is a unique bond between human and animal. There is a silent language, often accompanied by looks of understanding, unsolicited displays of affection, and a certain loyalty that two humans are not capable of recreating between one another. Whether it is a dog who never leaves your side when you are home sick, or a horse that makes you question whether you are the one in charge, they make us feel whole. The joy that I felt in seeing how happy my horse is living out his retirement surrounded by breathtaking scenery, caring people, and an abundance of everything that a horse could ever dream of was all encompassing. I walked around the farm smiling from ear to ear, inhaling slowly and allowing the fresh country air to sweep me into a state of bliss. 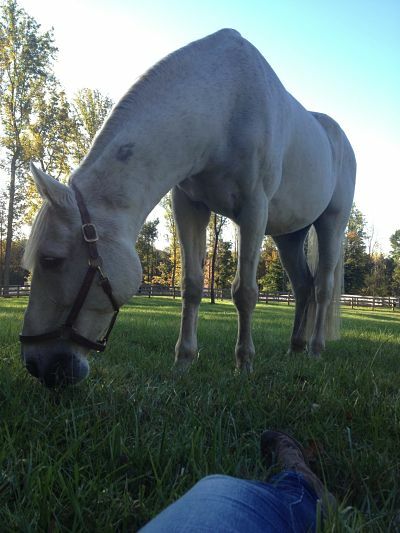 On a quiet Sunday morning, I sat in the grass in the middle of his beautiful green paddock. I watched him move slowly and pleasantly around the field following the best grass. Every few minutes, he came over to where I sat and checked in, patted me down in search of treats, looked at me with is big warm eyes, and went back to munching. I think that anyone who passed by probably thought that I was crazy, but I never feel more at home than I do when I am near him. He spurred my interest in horse care and management. 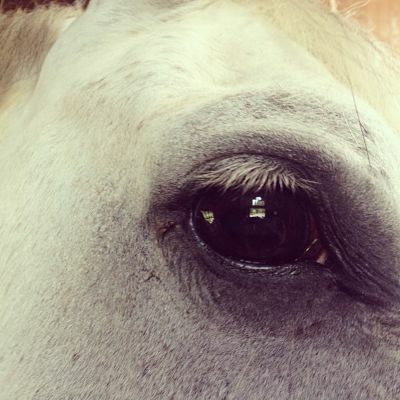 Growing up a barn rat, I spent as much time with the horses and in the barn as I could. But with Alaska, my time in the barn became more focused. I wanted to learn to care for him in the best ways. I stalked vets, farriers, chiropractors and more, listening, trying to see what they were seeing. and feel what they felt. I became more in tune to the subtleties of communication between animal and human. And in the meantime, Alaska did his thing. He taught, he was patient, and he brought happiness and purpose to my life. And so, it was only appropriate that he played a leading role in shining a light on what was to become the most trying time of my young life. At 17 years old, thinking that I had life nearly figured out, my world came crashing down. Alaska was so gentle and kind that to fall off of him was an embarrassment in itself. At the time, I had never had the pleasure of falling from the 18.2 hand equine’s back. So when I lost my balance and struggled to come off as gently as possible, I found myself in a special kind of pain. Along with a bruised ego, I had fractured a couple of ribs. Broken ribs require x-ray. From Alaska’s back to x-rays and CAT Scans and blood work and PET Scans. A tumor had been growing inside my chest. Did he know? My parents were convinced that his wisdom extended into the supernatural. To them, he saved my life. All that I know is that it happened. I fell off of him for the first time during our partnership, and I fell in such a way that a chest x-ray was required, and a chest x-ray got the ball rolling that led to a diagnoses of Stage 3 Lymphoma. Cancer is terrifying. Everything in your life turns backwards, upside down and inside out. We all go through challenges in life, and we all handle these challenges to the best of our ability. But Alaska made it easy. He remained a constant source of light, love and happiness. While some people looked at me with sadness or fear and struggled to find things to say that did not need to be said, Alaska looked at me the same. If possible, he was maybe kinder and gentler than ever. He sustained me. He rescued me from dark places, he gave me consistency, hope and peace. As I sit here today, 8 years of remission under my belt, I am so grateful to see him living the life that he deserves. 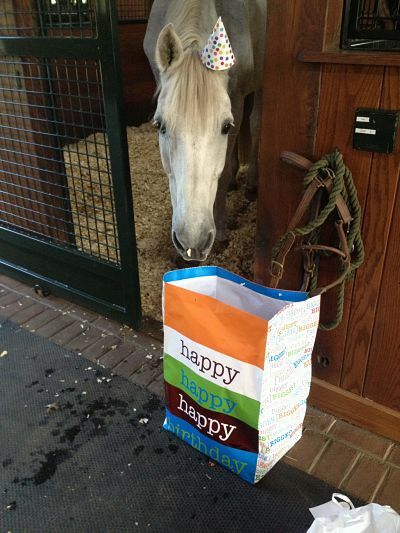 We celebrated his 20th birthday with a birthday bag filled with 20 lbs of carrots. I think he is in the prime of his life. He spends his days surrounded by beauty, perhaps the same beauty that he brought to my life. The beauty of waking up each day and looking forward to what life has in store for you. The beauty of appreciating each day for what it brings and not wanting for more. The beauty of knowing that no matter where you go or how you get there, you are lucky enough to be here in the first place. And the beauty in knowing that we found each other, and the rest just is.